BEIJING (REUTERS) - A buzz fills the sky above a flight base in northern Beijing, as pilots practise take-offs and landings ahead of tests to qualify for a licence - to fly drones. Drone enthusiasts in China, the world's top maker of consumer unmanned aerial vehicles (UAVs), are scrambling for licences after the government adopted strict rules this year to tackle incidents of drones straying into aircraft flight paths. 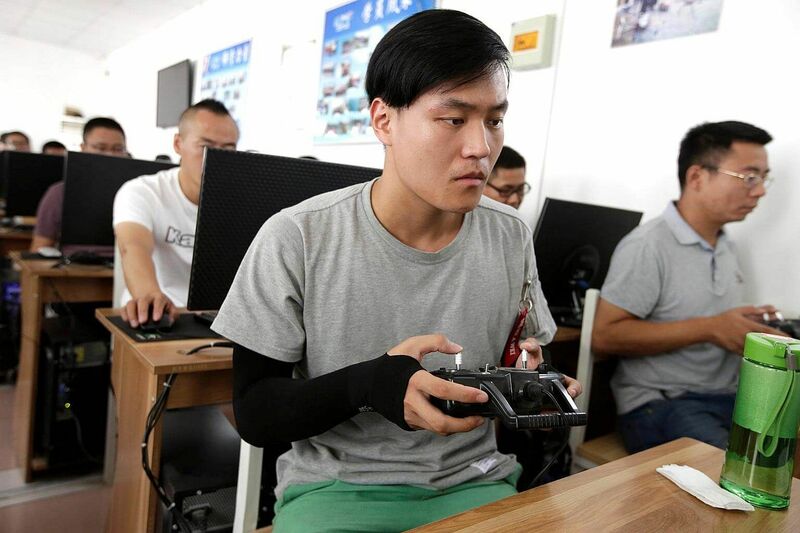 "A drone is not a toy," said Yang Nuo, the principal of the drone training school in the Chinese capital, who expects more students to sign up in a drive to boost flying skills. "It involves complicated aerial theoretical knowledge." Gao Huiqiang, 32, said his construction company told him to seek a licence. "Since the laws on drones are tightening and a legal framework is being built, they told me to come and get the license first," he added. In June, China set an end-August deadline for owners of civilian drones to register crafts up to a certain weight under their real names. Last week, a test-flight base opened in the commercial hub of Shanghai, which requires civilian drones to fly below 150m, the official news agency's Xinhuanet website said. Others have balked at the idea of spending around 10,000 yuan (S$2,073) for an official qualification, particularly as uncertainty surrounds future regulations. "They don't know when the next regulation will be introduced," said Hao Jiale, the manager at a DJI drone store. "Some people want to wait and see." Privately-held SZ DJI Technology Co Ltd, based in the south-eastern city of Shenzen, had a roughly 70 per cent share of the global commercial and consumer drone market, according to a 2016 estimate by Goldman Sachs and Oppenheimer analysts. Despite the curbs, prospects for growth look bright. China's camera drone market will see a compound annual growth rate of 68 per cent in five years, with shipments reaching 3 million units by 2019, up from 40,000 in the third quarter of 2015, tech research firm IDC said last year. More than 120,000 drones have been registered in China, Xinhuanet said, compared to just 77,000 registered users in the United States.